It’s another Diane Victor: one of her (apparently) famous smoke portraits. She “paints” these faces with a candle flame, giving it that ethereal ghostlike quality and those ridiculously evil eyes. At this point, I watched myself succumb to almost every bias that I know of. And I must have a deeply shrewd eye for awesomeness, because my art-buddy Alex just told me that Diane Victor smoke portraits are like hen’s teeth. Maybe I should come and bid on it. I wish it looked slightly less demonic. The estimate is between R20,000 and R30,000. Actually, I love it. It’ll look so great in my offices. People will comment, and I’ll get to tell the smoke-painting story, which is totes amazing. And also, the demon-like quality actually makes sense – what’s the point of a pleasant expression when it’s all smoke? Question: how much am I willing to pay for it? Alex reckons I shouldn’t go higher than R40,000, otherwise I’d be overpaying and I’ll look like a mug. I cannot WAIT for it to be mine! 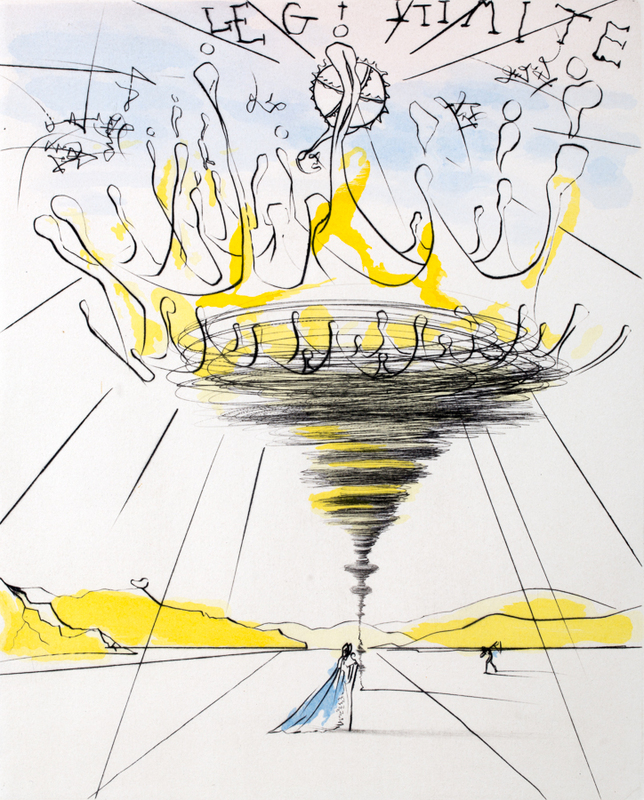 And actually, while I’m at it, there’s a Dali etching on auction. Look at how cheap it is! I’m going to bid on that as well. Oh wow – there are two Dali’s. Guess who’s gonna own two Dali etchings?! I don’t care – I want a Dali! Okay – so maybe I’ll only try and get it if it’s cheap. Or whatever. Now that the auction is over and the hype has passed, I’ve had the sense to reflect on what was really happening behind the scenes. Last year, I went to the house of an advertising friend. His house consisted almost entirely of art pieces, hairless dogs, a Victorian-looking bedstand and a broken toilet. 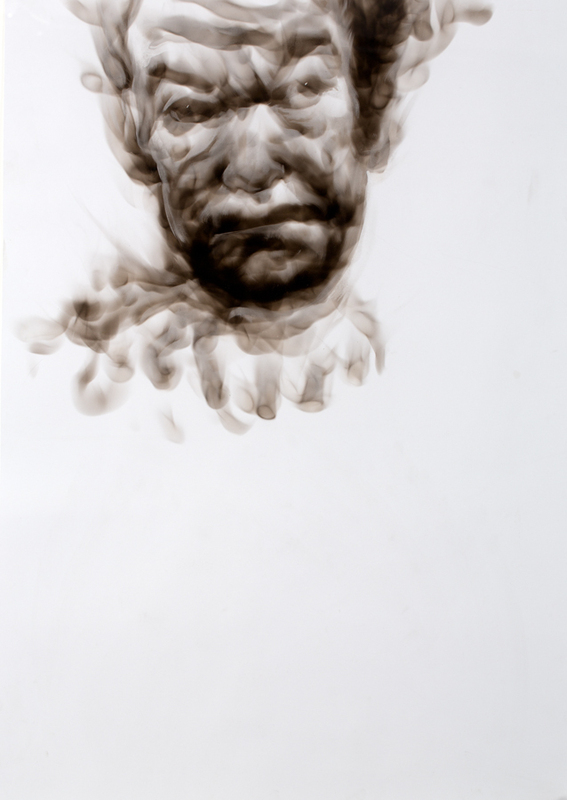 He was particularly proud of his specially-commissioned smoke portrait by Diane Victor. With a clearer head, I remember disliking the drawing, but liking the idea. So while walking around the room, when I suddenly came across a picture that felt familiar, the familiarity bias kicked in, and I was now pre-disposed to liking it. Then Alex used the trigger phrase “hen’s teeth”, which made me afraid of losing a piece that I might never have the opportunity to buy again. Cue: some loss aversion bias. At that point, I’d made the decision to buy it, and immediately began justifying the spend (a little post-purchase rationalisation) as an investment and a great story and how good it would look in my office. When the London-fine-art-bestie declared her love for the piece, I felt affirmed and liked it more – almost as though I now had permission to buy it “rationally” (FYI: that’s the definition of a confirmation bias). It’s also a classic example of the bandwagon effect (if they like it, then I like it too). I’m not sure how art gets a value, and how we reach the point of “overpaying” for it. But because there was an estimate of R20,000 to R30,000 sitting in the catalogue, I immediately started to adjust my definition of “value” around those prices (that’d be the anchoring bias). And suddenly, R40,000 seemed like an expression of how much I really wanted it. But I could just as easily have voted with R4,000 as that expression, if the estimate were between R2,000 and R3,000. And do you know how I know that? 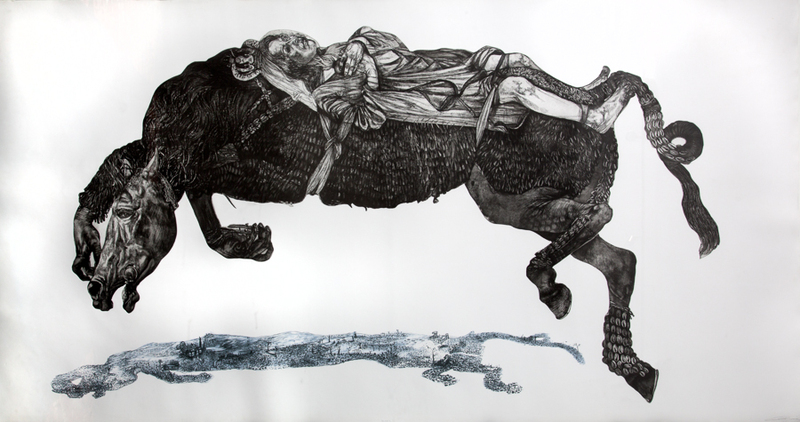 Because the estimate on the Dali etching was R1,500 to R2,500, and I decided that R2,000 would be my limit. And yet, in the grand scheme of things, I would probably take equal delight in a Dali etching. And because I like the idea of owning a Dali, I was prepared to dispense with the expert advice and casually assume that most people are like me and wouldn’t know that a Dali lithograph is actually just an autographed poster (this would be the projection bias). In short, I had lost my mind. I guess this would be the point at which I tell you about the auction.